Clams, pasta, mushrooms, tomatoes, cheese. Pack Weight - Single: 128 grams. Double: 255 grams. 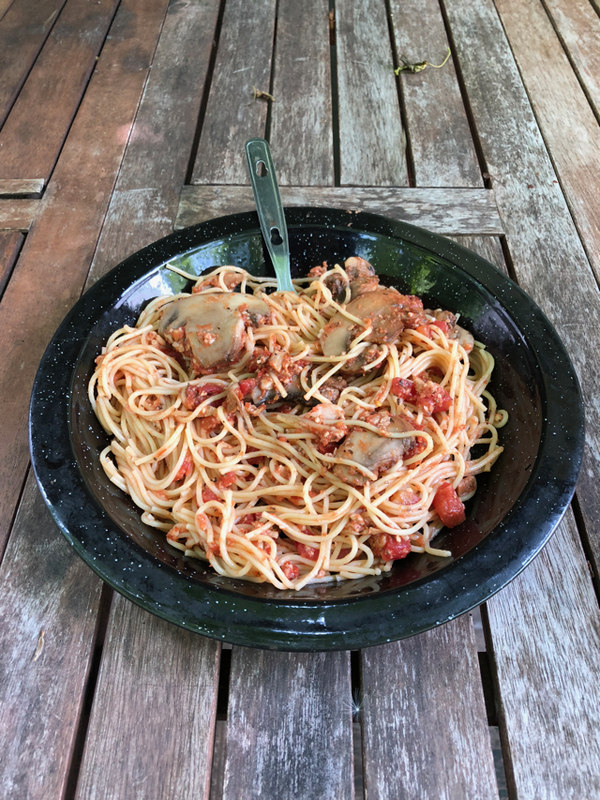 A savory blend of a red clam sauce with diced baby clams, garlic, mushrooms, basil, crushed red pepper flakes, and grated Parmesan cheese, tossed with vermicelli pasta. A great end to a wonderful day or even a rainy one!